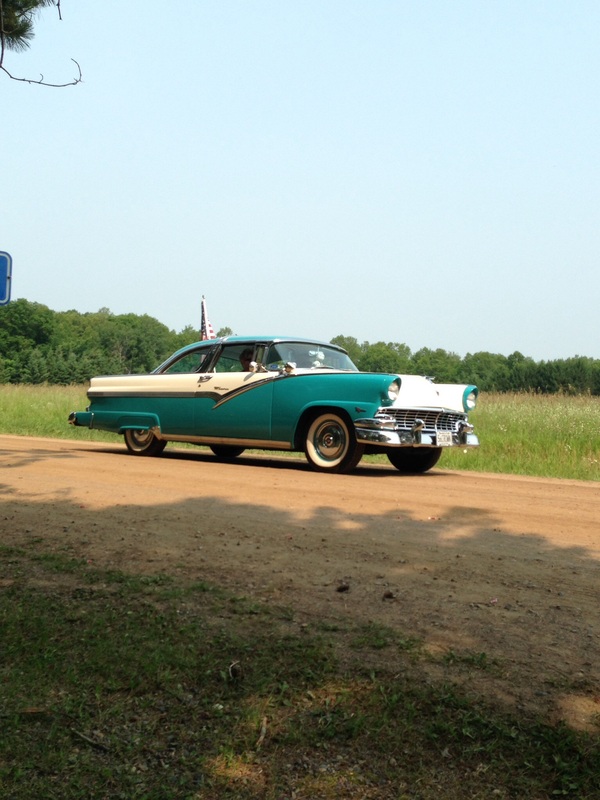 The usually quiet dirt road was busy with cars, 4-wheelers, and various farm implements passing by. People riding bicycles or walking with their lawn chairs and strollers in tow, passed by dressed in red, white, and blue garb. Everyone smiled. The parade line-up was just a few lots down, so we were some of the first spectators to wave and cheer in exchange for candy, beads, and key chains tossed at us. 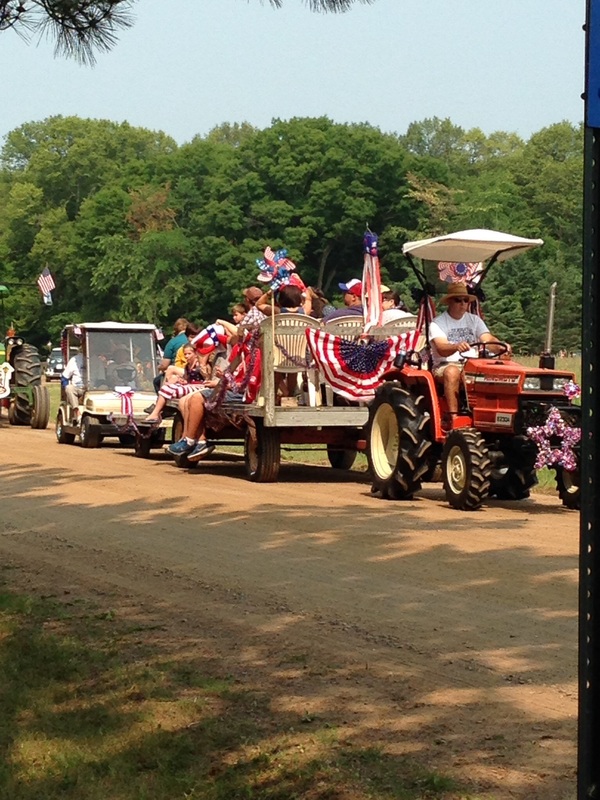 The route of this annual 4th of July parade goes around the dirt road encircling Clear Lake, the home of my husband’s family cabin. Each year, we, whoever is at the cabin, haul our lawn chairs out to the road to watch the 4th of July parade. I love parades. As long as there are not clowns (most are scary! ), I love a good parade. Part of the fun is to see what people consider to be parade-worthy. Cities around the USA hold parades and huge fireworks shows at night to celebrate the birth of our nation on this holiday. People have cook outs and get together’s with friends and family. At yesterday’s Clear Lake Parade, I noticed how the people on floats, in their collector cars, or on a piece of farm equipment, looked so proud and happy. 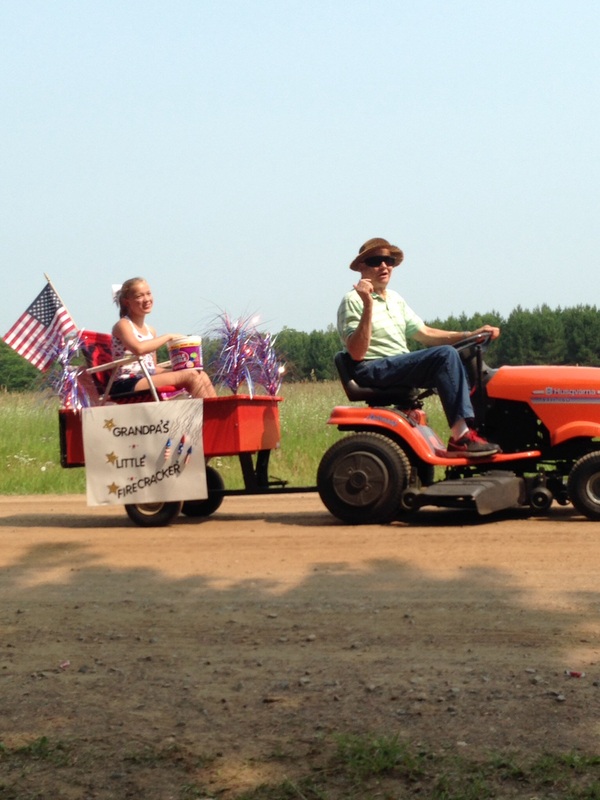 This parade draws people from nearby small towns all around, and the little things are important. Everyone seemed excited. It is in the little things that we can find so much joy. And, unfortunately, sometimes it takes a reminder to remember this. In this culture with all the gadgets, apps, and cool stuff to occupy our time and our minds, it is easy to forget about the world outside that isn’t dependent upon an app or a gadget. I am grateful that I saw this year’s parade and spend the weekend in this small town. I noticed excitement in the air, joy on faces, and people cheering, running to grab candy from the road. It felt like a throwback to childhood, a simple 45 minutes of the good life. May we all remember to notice the little things, and be on the lookout for them. You never know when a little joy is right around the corner. May it a good week!